How do I delete one or more Scheduled Post? Ready to do a little spring cleaning on your posting queue? 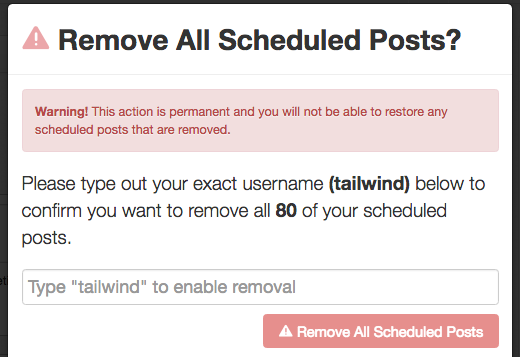 See how to delete scheduled pins one at a time, or obliterate them all at once. Sometimes you might find you've accidentally scheduled too many posts, or added the same Post a few times and need to delete them. You can do so individually, in case you need to keep some other posts or delete them all to have a clean scheduling queue! 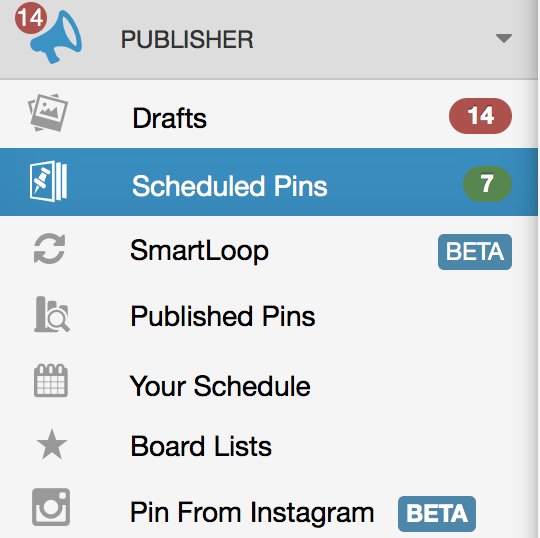 Go to the "Scheduled Pins" page (located in the pop-out menu in the left hand navigation). 2. Hover over the Post you would like to remove, and select Delete. 3. Confirm that you would like to remove the Post, or cancel the deletion. 2. On the very right-hand side of the page in the "Your Schedule" box, click the three vertical standing dots. 4. Removing all your Scheduled Posts cannot be undone, so we'll ask you to enter your username to confirm this action. Click "Remove All Scheduled Posts" when you are ready to obliterate your queue!